Visit Amazon to download the Kindle or paperback version. Thanks for visiting this blog. I'm a married father of three active and busy kids. I'm a graduate of Penn and Duke Law School. 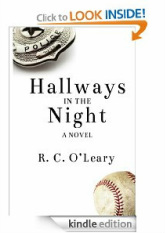 Hallways in the Night is my first novel.